Two lengths, one machine - extend or reduce in a few simple hand movements. 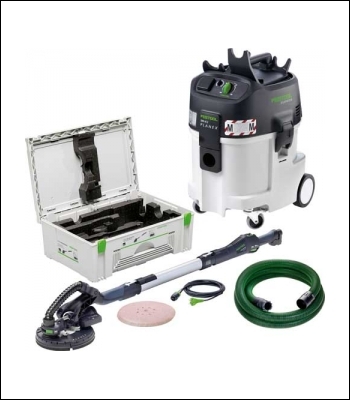 Two-speed gears for efficient, rapid material removal on walls and ceilings. Perfectly balanced for easy handling. Robust, reliable drive components and efficient power transfer. Adjustable suction power decreases the perceived weight of the machine. Detachable brush segment allows sanding up to the edge. Sanding plasterboard and dry wall filler. Removing wallpaper residues.